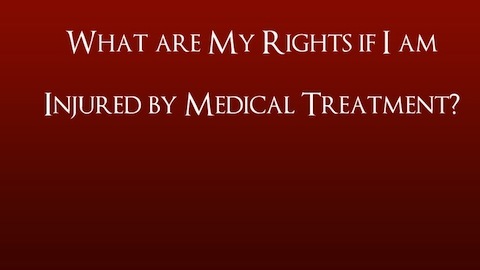 Medical and dental malpractice can cause serious or fatal injury. The Tucson attorneys of Bache & Lynch represent clients in legal actions against medical professionals who fail to exercise proper caution or to live up to the legal requirements of their profession. If you have suffered a serious personal injury or the wrongful death of a loved one and you suspect that professional negligence may be fully or partly to blame, we invite you to contact us today to discuss the specifics of your case in a free and informative consultation. We trust health care professionals with our lives and the lives of our loved ones. When doctors, dentists, nurses, surgeons, pharmacists, anesthesiologists and obstetricians are careless or make negligent mistakes, lives can change. The Tucson law firm of Bache & Lynch fights preventable medical and dental error such as birth injury, misdiagnosis, emergency room mistakes, surgical errors, and errors in the administration of drugs, the best way we know how: we hold the negligent medical professionals and their insurance companies to account. Our trial lawyers work tirelessly to obtain full compensation for our clients who have suffered serious injury, permanent disability, or the loss of a loved one due to medical or dental malpractice, pharmacy error or nursing negligence. To schedule a free consultation with an experienced Arizona professional negligence and medical malpractice attorney, please call the Tucson offices of Bache & Lynch at 520-293-5300. You may also contact us by using the Contact Form above now for more information or to request an appointment. Frances was professional, had great ideas and was super timely in her delivery. I’d highly recommend!!! Google 5 Star Review – C.H.